SUMMARY: A small boy flees a toxic family – all the way across the alley to Rip’s Bar and to a vivid troupe of broken people in the Albuquerque Bosque. They hide him from his car-thief drunkard father, his cocaine-freak mother, and his ganged-up abusive brother. The boy trades family for a hodgepodge of drinkers and losers. But it’s bad timing. A new bridge proposed across the Rio Grande will wreck the neighborhood. The barflies share responsibility for the child while their Bosque crumbles. They collect misery like small change and rally to keep their ghetto alive. THE BACK STORY: What appears dangerous is not necessarily so – and what we trust to be safe can destroy us. WHY THIS TITLE? : A visual picture of people engulfed in a flood, drowning and being carried away – the metaphor for the neighborhood. WHY SOMEONE WOULD WANT TO READ IT: Drama, original themes, unique structure, quirky characters. 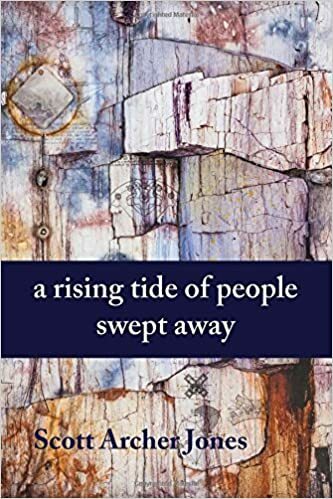 A rising tide of people swept away evokes a unique sense of place and goes to the meat of key contemporary themes of childhood, dangerous families, broken people limping along with their problems, villages with their histories. AUTHOR PROFILE: I’ve published three books (Jupiter and Gilgamesh, A Novel of Texas and Sumeria and The Big Wheel with SYP Publishing, and “A Rising Tide of People Swept Away.” I’m finalizing Bec’s Mountain, a book about a woman’s fragmenting marriage to an Army chaplain and her survival in northern New Mexico. I’m revising the second draft of The Moth, the story of an east L.A. pawnbroker. AUTHOR COMMENTS: The neighborhood of the book is the Albuquerque Bosque, between 2nd and 6th street, the expensive River Road and the Interstate. It’s a hard-scrabble place where the permanently poor of all races lead marginal lives one step away from failure, two steps away from being ruined by governmental help. I hope the reader connects with these people, who are actually us minus the advantages of birth, class, and education. Sounds like a book I’d like. Adding to my long list of books to buy!